9A34M Gopher TELAR of the Slovakian Army (image © Miroslav Gyűrösi). 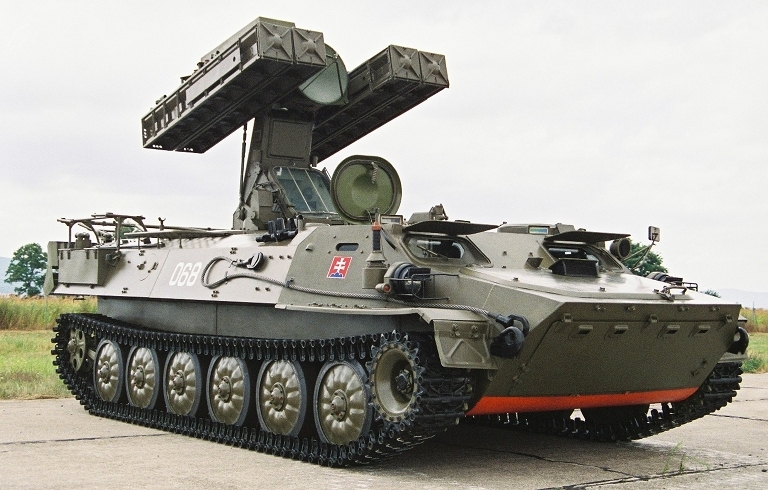 The 9K35 Strela 10 / SA-13 Gopher was developed as a replacement for the 9K31 Strela 1 / SA-9 Gaskin, and was intended to provide a system with better mobility and a longer ranging and more lethal missile design. 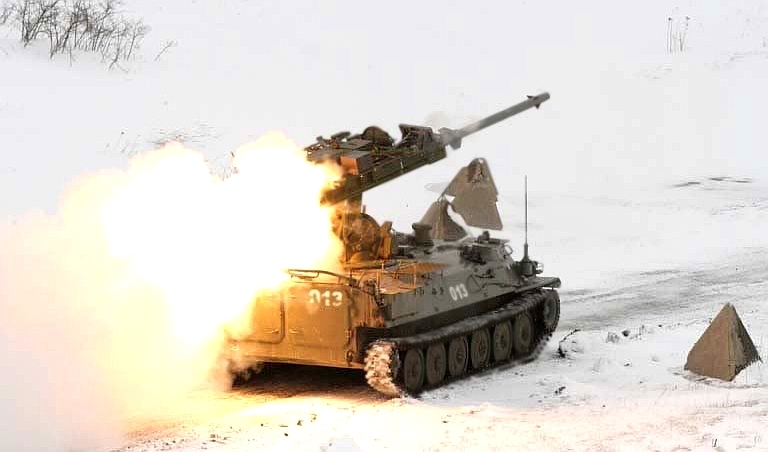 Development was initiated in 1969, in parallel with the 2K22 Tunguska / SA-19 Grison, the intent being to provide a complementary system with a btter capability in heavily jammed environments, where the radar directed SPAAG might be at a disadvantage. Design requirements included the ability to engage closing targets with speeds of up to 415 m/s and receding targets at 310 m/s, at altitudes between 25 m and 3,500 m, at ranges between 800 and 5,000 m. A single shot Pk between 0.5 and 0.6 for targets with load factors between 3 and 5G was envisaged. The system was to be relatively autonomous capable of providing point defence for maneuvre formations. The system was to be air transportable by An-12 Cub and Mi-6 helicopter, and able to cross bodies of water. The Nudelman bureau was tasked with missile design and Geofizika tasked with developing the seeker. IOC was achived in 1976 with Red Army air defence units. 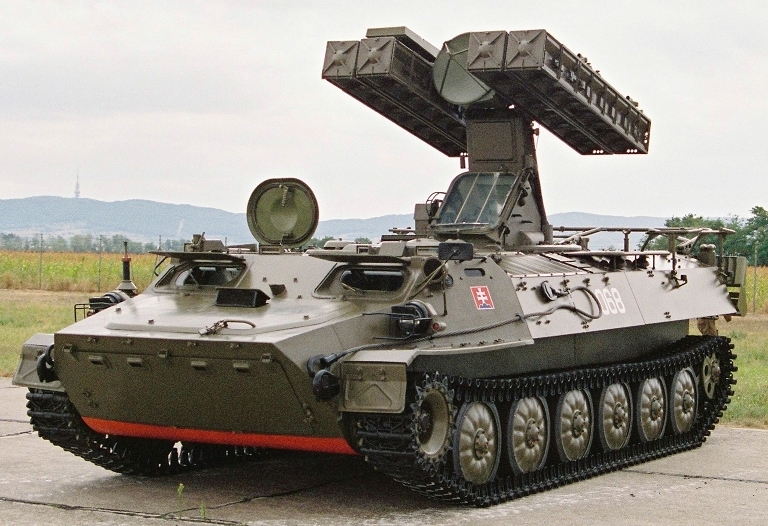 The baseline 9M37 Strela-10SV variant fitted with a 9E47 Virazh two colour infrared/visible band seeker deployed on the 9K35 TELAR from 1976. 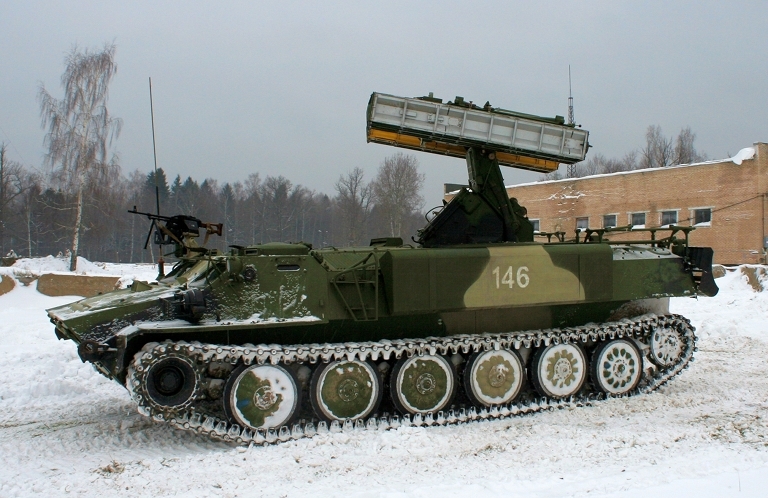 Development of the improved 9K37M Strela-10M with a 9E47M seeker, deployed on the 9A35M TELAR, started in 1977, with IOC in 1979. 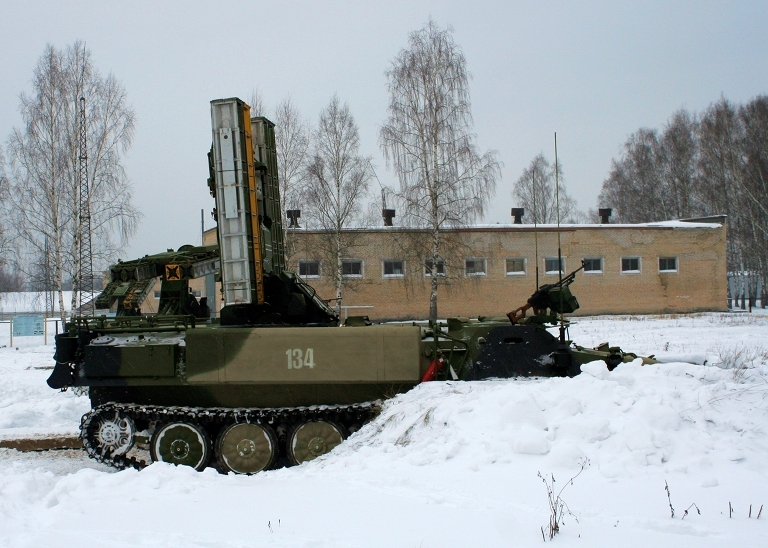 The third missile variant, the further improved 9K37M2 Strela-10M2 deployed on the 9K35M2 TELAR from 1981. 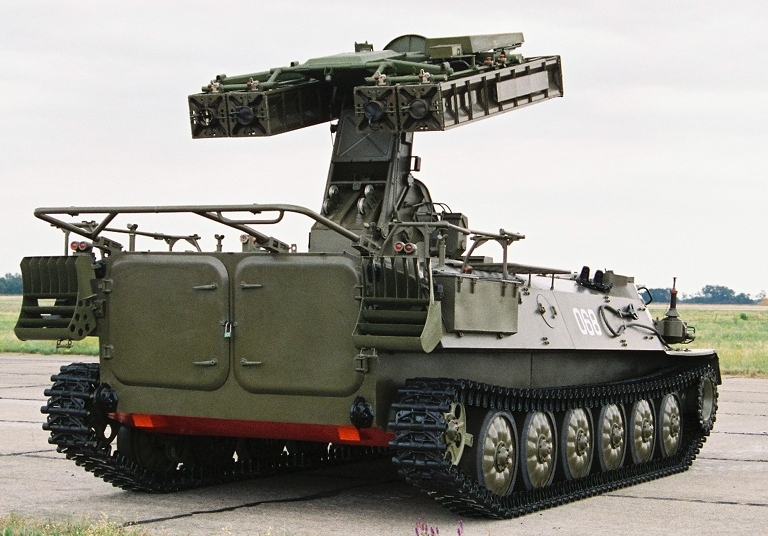 The last Cold War variant was the Strela-10M3 deployed on the 9K35M3 TELAR from 1989, this variant using the 9M333 missile which was supplied with a 9E425 three channel seeker, the first infrared, the second using a visible band television contrast lock design, and the third a passive homing channel intended to home on the emissions from jamming equipment. The 9M333 included a new autopilot and IR background rejection processing, as well as a laser proximity fuse with eight rather than four lobes for engaging small targets,and a larger and more lethal warhead. The 9K35M3 included an improved 9Sh127 optical sighting system for the gunner with WFOV and NFOV modes. 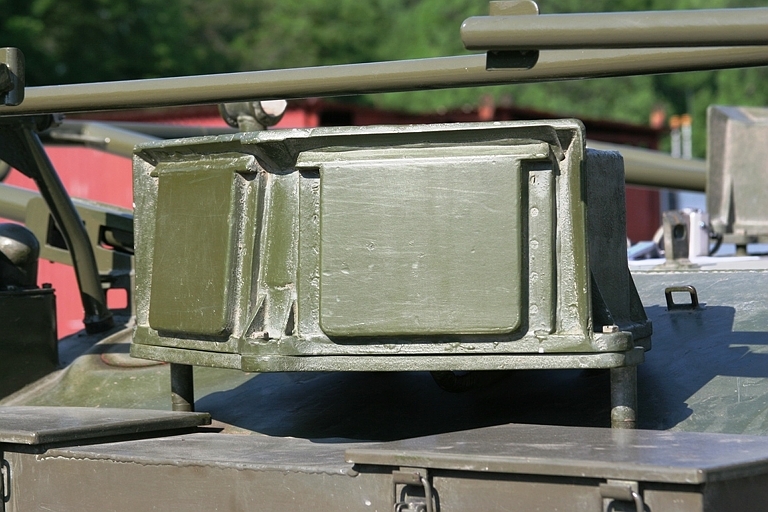 Detail of optical sighting system on a 9A35M Gopher smart TELAR of the Czech Army, deployed for operation. The design uses a folded optical path to a gunner reticle, upon which symbology is optically projected. The symbology is superimposed on the viewed scene and includes outputs from the 9S86M Snap Shot engagement radar (image © Miroslav Gyűrösi). The 9K35 / SA-13 Gopher system employs a coherent pulse Doppler millimetric band 9S86 Snap Shot range and radial velocity finding radar. 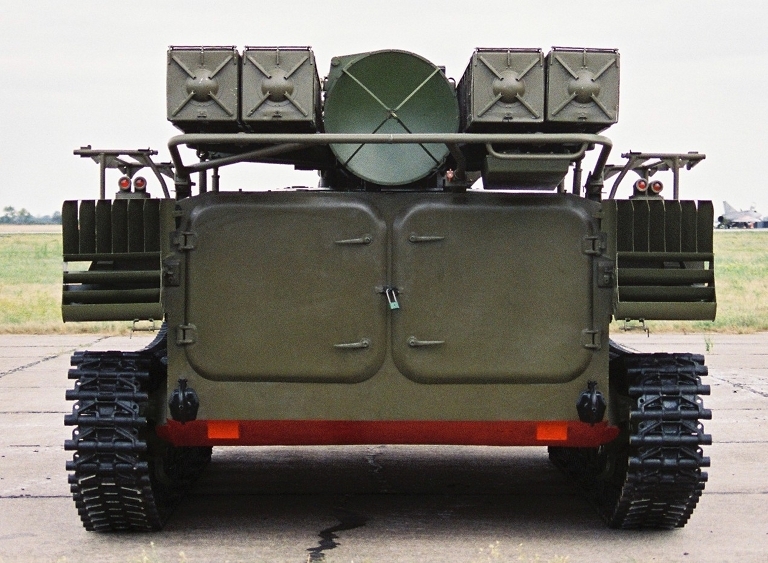 Two TELARs were developed on the MT-LB tracked chassis, these being the 9A35 TELAR equipped with the 9S16 Flat Box-B radio-frequency passive detection system, and the 9A34 without it. 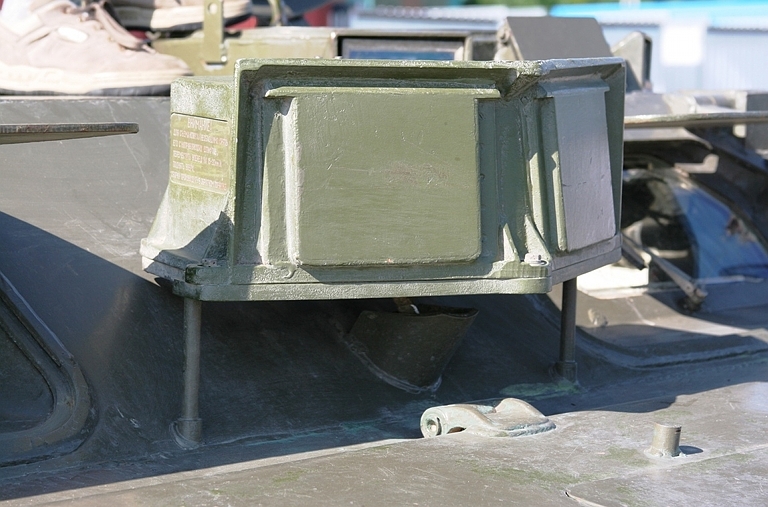 The Flat Box antenna suite comprised multiple antennas on the top of the MT-LB hull and an additional antenna package on the electrically powered TELAR turret. 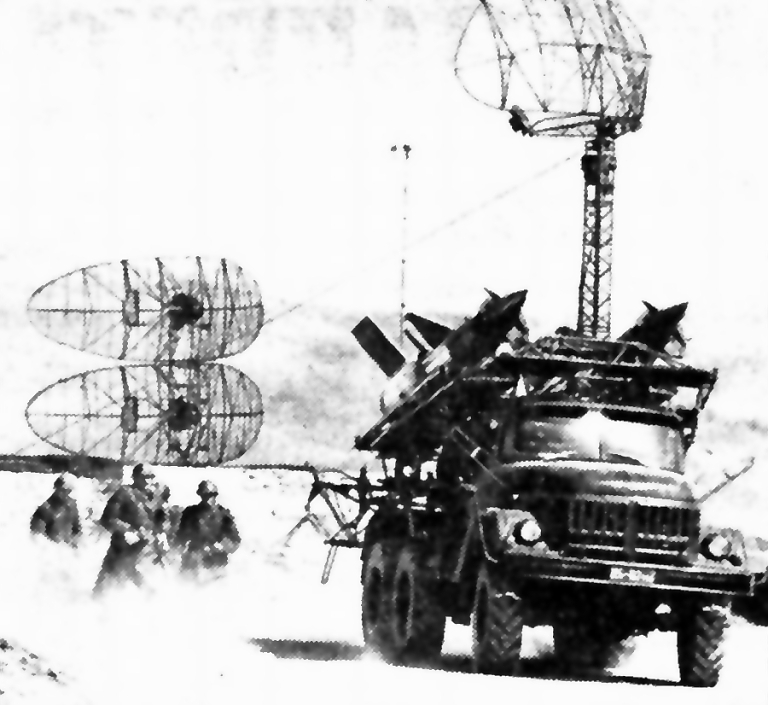 Typically one 9A35 was deployed with three 9A34 TELARs. All TELARs carry four ready rounds and four stowed reloads. 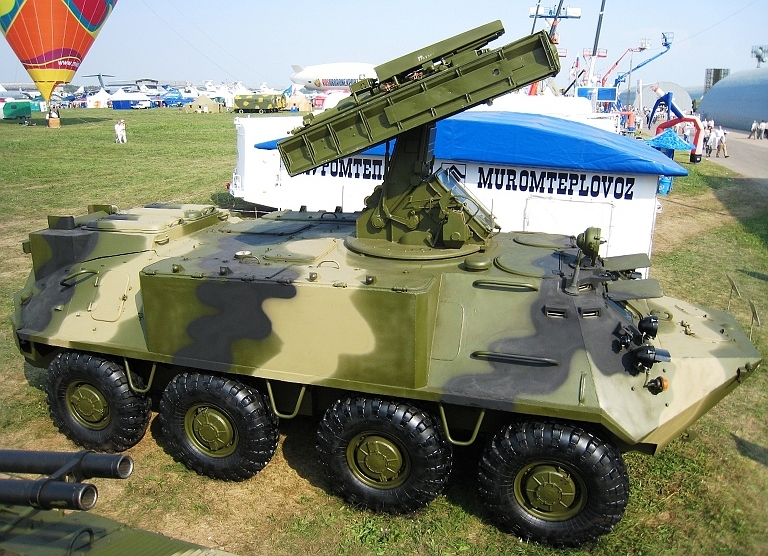 The Gryuza variant employs the 9A34A TELAR which is equipped with an Azovsky L-136 MAK-F infrared search and track (IRST) system, intended to cue to gunner to targets. the system is claimed to be capable of passively acquiring an F-15 class target at 10 to 15 km range day or night. 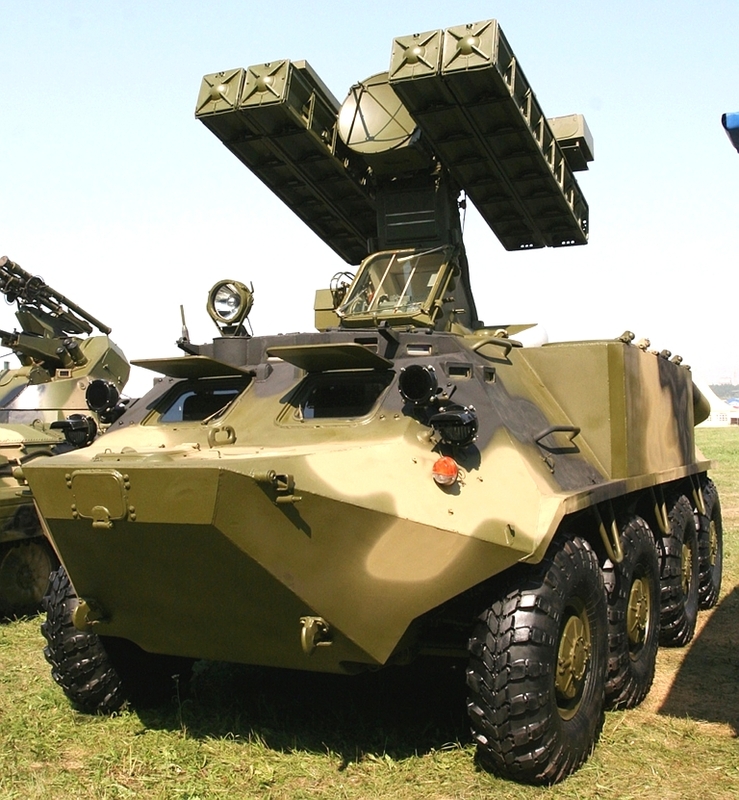 This system is detailed under 9K35A Gyurza / SA-13 Gopher SAM System Upgrade. 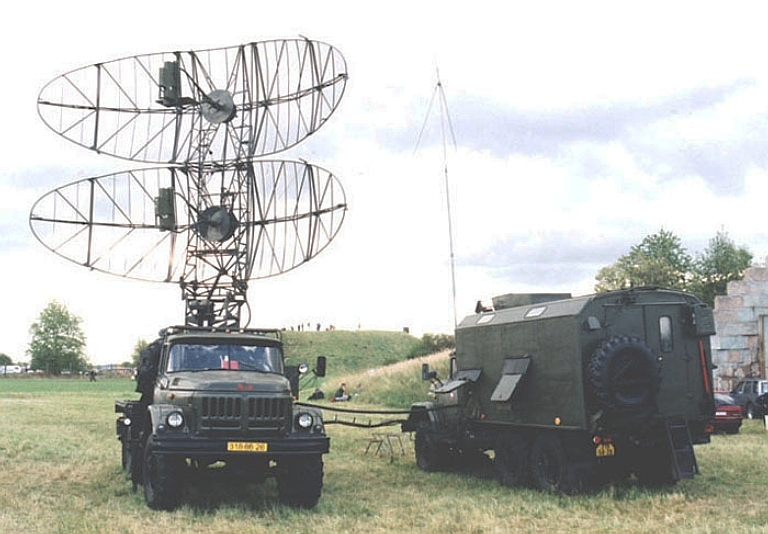 A typical battery deploys with three 9A34 series TELARS, one 9A35 series TELAR, and a single PPRU-1/1M command post, although early variants often used the PU-12M series command post. 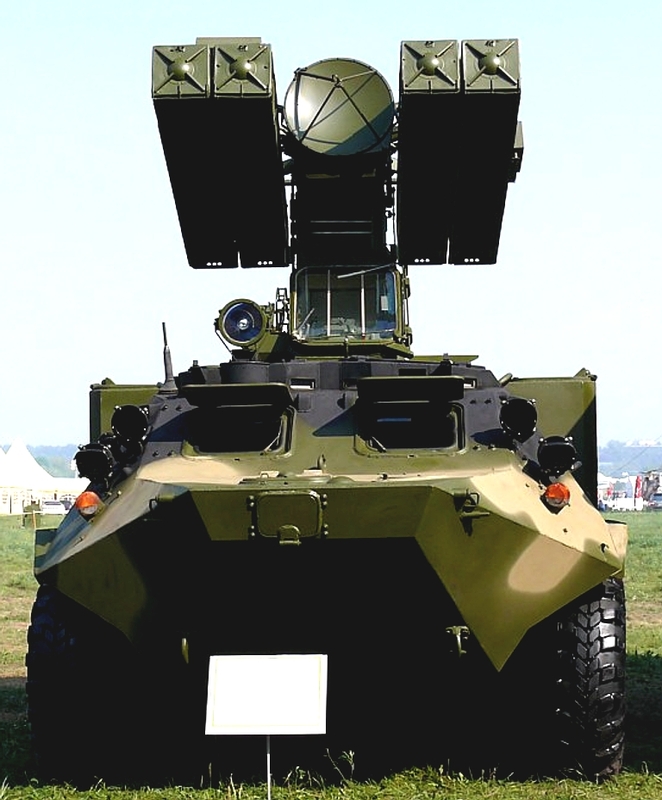 Typically the PPRU-1 or -1M is equipped with the X-band 9S80/9S80M/M1 Ovod / Dog Ear battery acquisition radar. 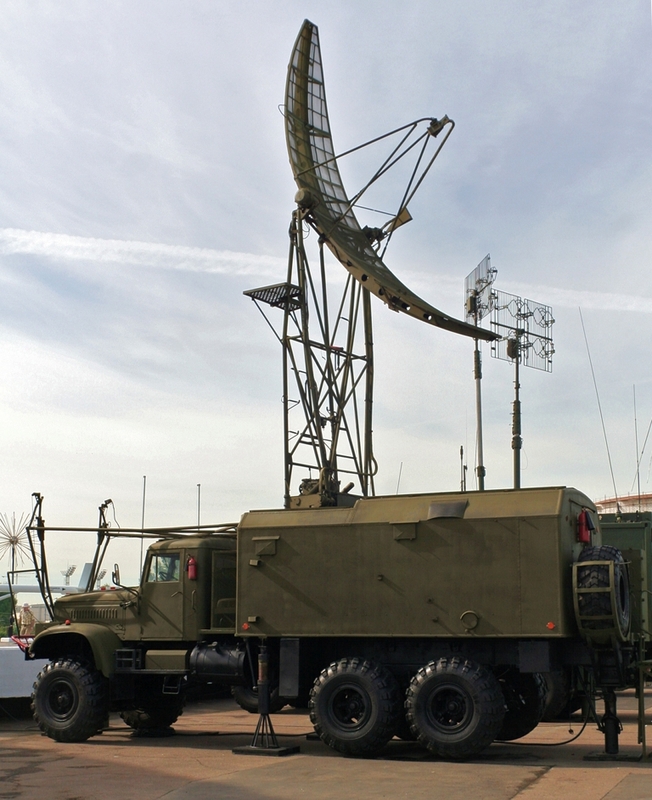 A digital variant of the this command post, the PPRU-1M-2, has been recently displayed, equipped with an entirely new planar array solid state digital 9S80M1-2 radar. The new 9M35M3-K Kolchan TELAR design is detailed below. 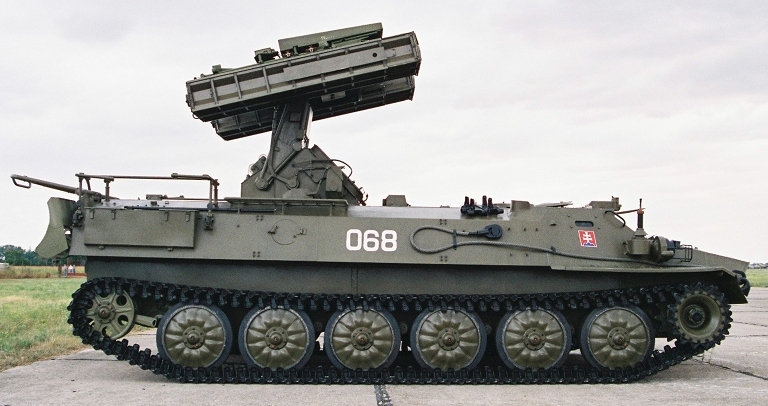 A late model Nudelman 9K37M Gopher missile round. Note the glass seeker aperture and laser proximity fuse windows. The missile's Geofizika 9E47M two colour all aspect electro-optical seeker occupies the nose section, with a optical nose window, likely using a sapphire material. The seeker is cooled using a liquid nitrogen tank, likely using a Joule-Thompson refrigerator. Geofizika also designed the 36T seeker for the R-27T/TE / AA-10 Alamo. Aft of the optics and the canard pitch/yaw control actuator modules is the missile autopilot module and impact fuse. The 9N125 3 kg combined expanding rod and fragmentation warhead is integrated with a laser proximity fuse, with two offset rows of windows for emitter and detector elements. Aft of the warhead and fuse the missile volume is largely occupied with the dual pulse solid rocket motor. The small cruciform surfaces on the tail are used for roll stabilisation. The missiles are supplied in hermetically sealed launch tubes which double up as transportation containers. 9A34M / SA-13 Gopher TELAR of the Czech Army, which acquired the system during the Cold War. 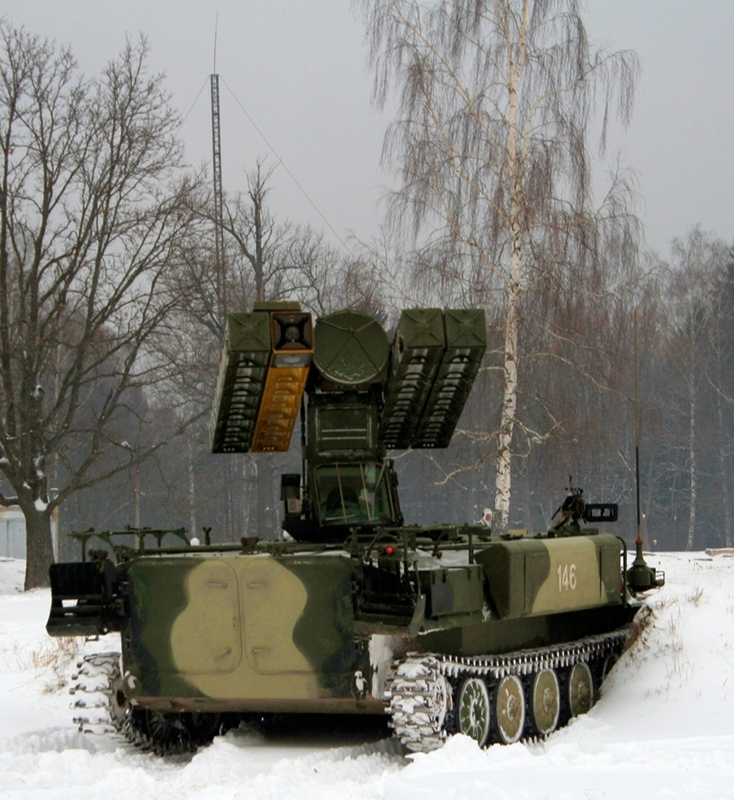 The 9S86 Snap Shot rangefinding radar is located between the launchers (Czech Army). 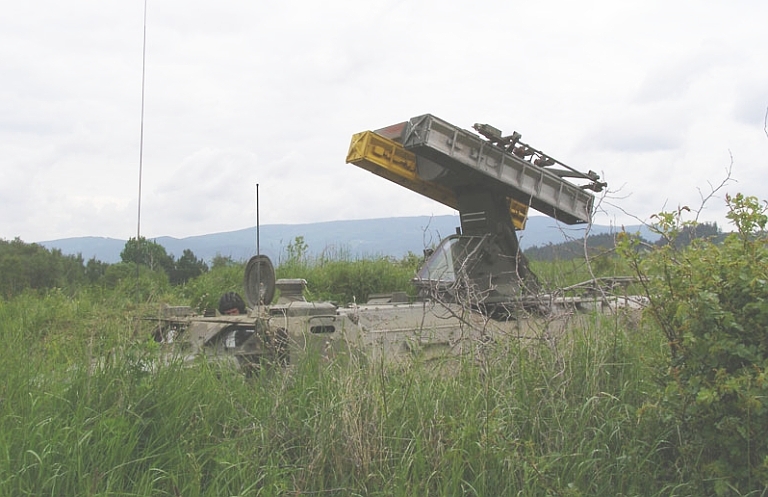 SA-13 Gopher system of the Czech Army waiting in ambush for an unsuspecting aircraft (Czech Army). This system was primarily exported to Warsaw Pact nations, India and Cuba. Yugoslavia rehosted the system on an indigenous tracked chassis. A number of upgrades exist for the basic system, and the late model 9K35M3 Kolchan variant is also available on a wheeled 8 x 8 BTR-60 chassis. 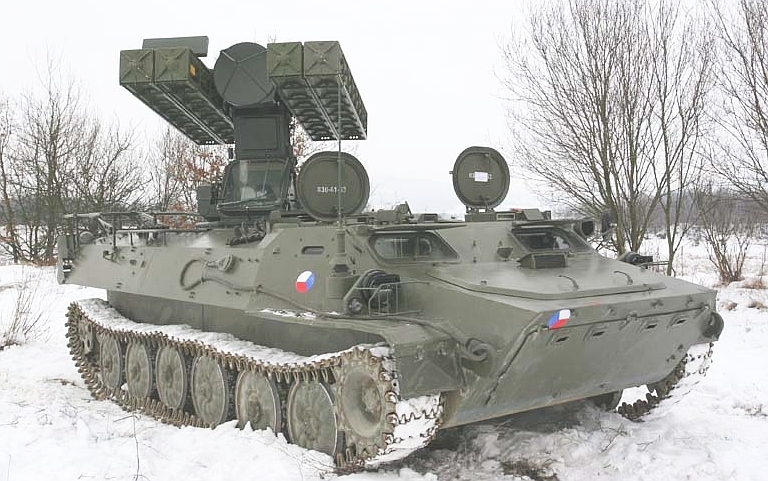 Upgrades for earlier variants are discussed further under 9K35A Gyurza / Strela 10M / SA-13 Gopher SAM System Upgrades. 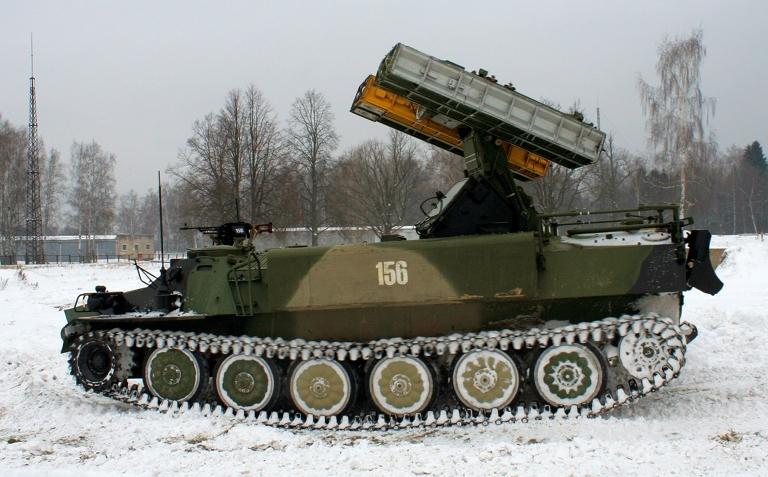 9A35M Gopher smart TELAR of the Czech Army, deployed. 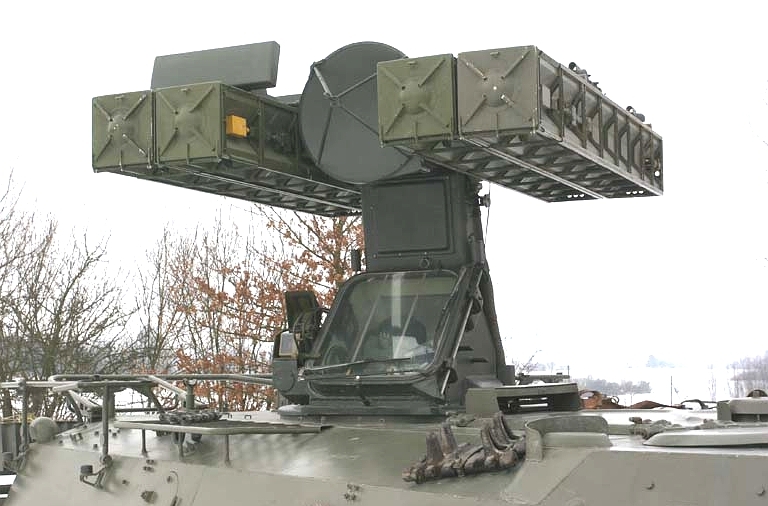 The 9S16 Flat Box radiofrequency passive detection system antennas are mounted on the upper hull and turret (image © Miroslav Gyűrösi). 9A34M Gopher dumb TELAR of the Slovakian Army, deployed and stowed (all images © Miroslav Gyűrösi). 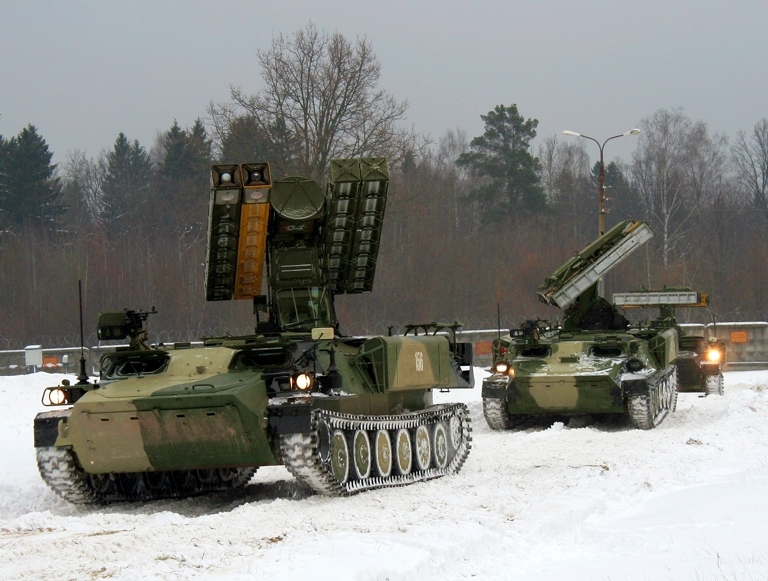 Neither Russian nor former Warpac references list a specialised transporter/transloader for the 9K35 / SA-13 Gopher system. Available types include the widely used 9T244 / 9T245 and other Ural 4320 derivatives (Kupol JSC). 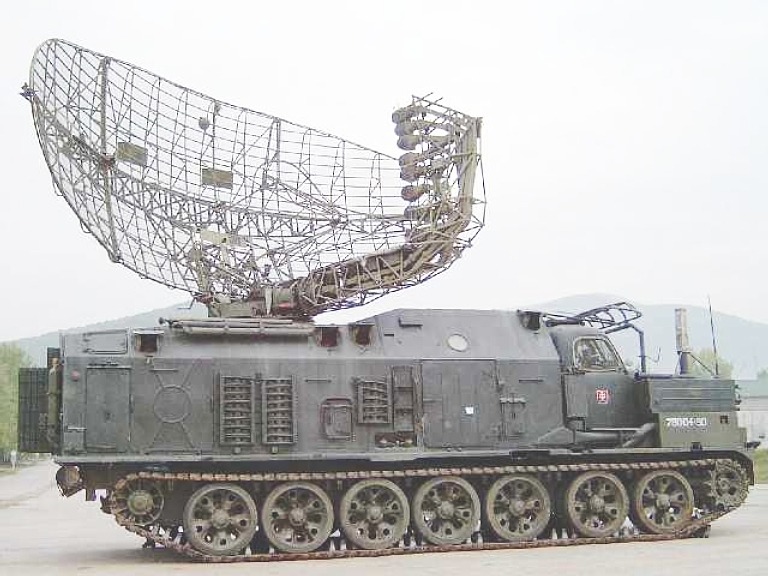 The P-40/1S12 Long Track S-band acquisition radar is often cited as the mobile acquisition component in Strela 10 SAM batteries, although its primary purpose was supporting the SA-4 Ganef system. It uses a modified tank chassis to provide high cross country mobility. The antenna stows flat on the roof of the vehicle. Eight stacked beams are used for heightfinding. Late model P-19 Flat Face D acquisition radar. 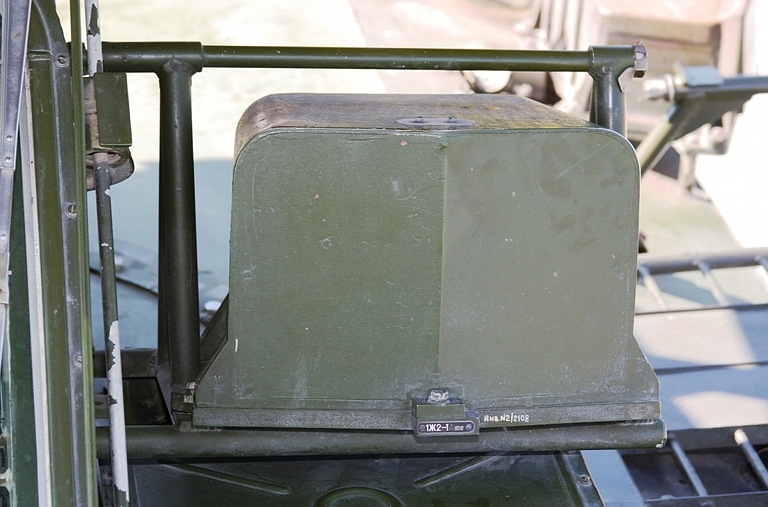 The Flat Face and Squat Eye were frequently used as acquisition radars for groups of 9K35M / SA-13 Gopher batteries, especially in export systems. Most production 9K35 / SA-13 Gopher systems were delivered on the Soviet MT-LB amphibious tracked chassis which forms the basis of the 9A35 and 9A34 TELARs. 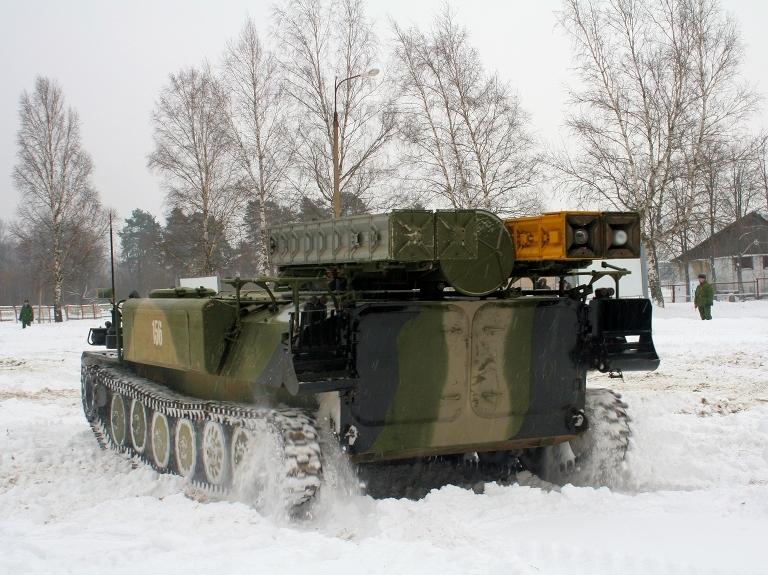 Yugoslavia integrated the 9K35 Strela 10SV system on an indigenous tracked chassis before the Balkans civil war and some of these systems were deployed during OAF. 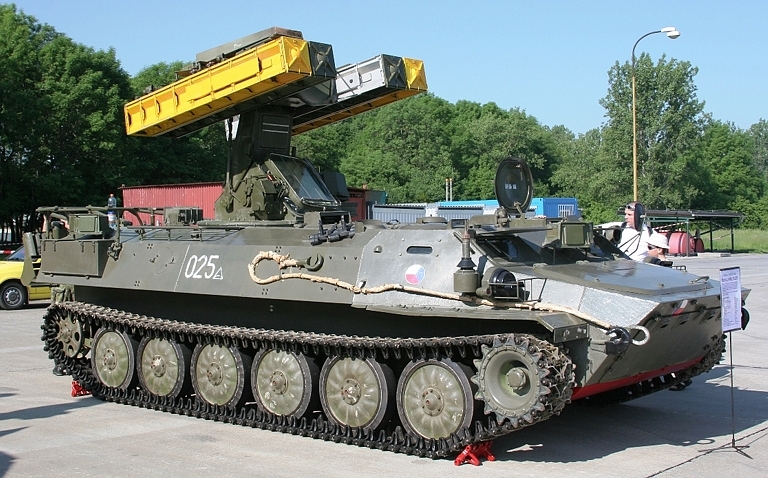 More recently the late model 9K35M3 Strela 10M3 / SA-13 Gopher system has been integrated on a wheeled amphibious chassis under the designation 9K35M3-K Kolchan by KBT. The demonstrator for this design was fitted to a legacy BTR-60PBM 8 x 8 personnel carrier and displayed at the MAKS 2007 arms show in Moscow. The BTR-60PBM is a refurbished, relifed and re-engined baseline BTR-60, recognised by the enlarged aft engine bay. 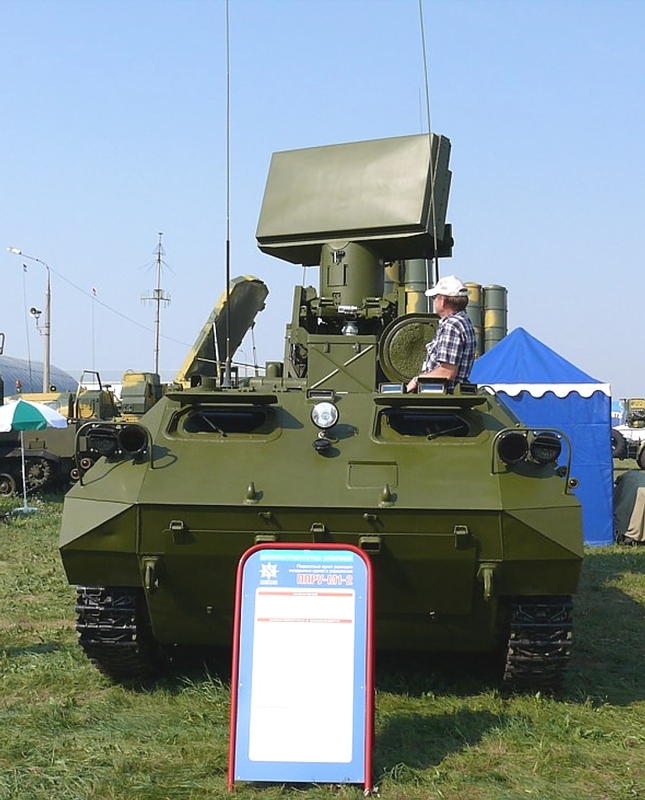 Modifications to the BTR-60PBM series vehicle include replacement of the powered BPU-1 series automatic gun turret with the 9M35M3 TELAR turret previously designed for the MT-LB chassis, and the addition of side mounted magazines for four reload rounds. The choice of the GAZ BTR-60PB series vehicle is almost certainly a result of the vast existing user base of this family of vehicles, which was more widely exported than any other Soviet armoured personnel carrier. The successor 1970s BTR-70 and 1980s BTR-80 were exported as widely as the BTR-60, the 1990s BTR-90 is operated only by Russia. The similarity in hull designs across this family of vehicles would permit adaptation of the demonstrator design to any of the BTR-60/70/80/90 series hulls. 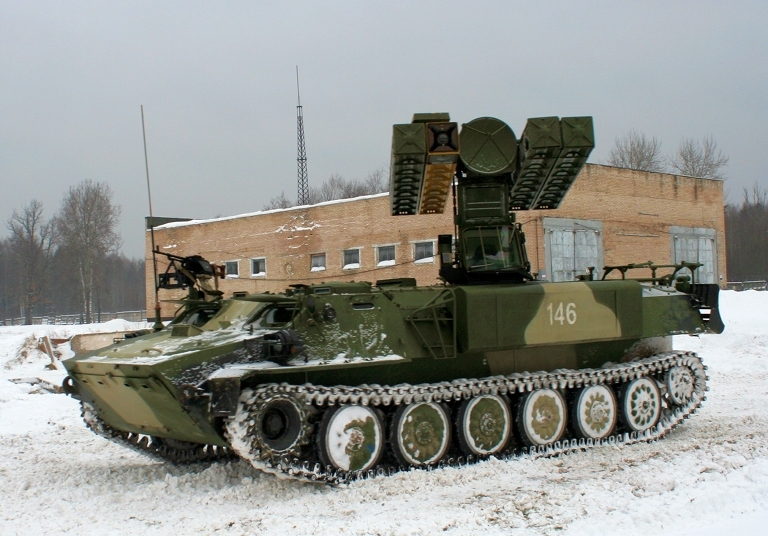 Conversion of existing in service BTR-60/70/80/90 series vehicles into the 9K35M3-K Kolchan is significantly cheaper than the manufacture of new MT-LB vehicles, which are also more expensive to operate than wheeled vehicles of similar size. Numerous life extension and engine upgrades are available for the BTR-60/70/80/90 family of vehicles. The BTR-60/70/80/90 are Russian equivalents to the US LAV-25 and Stryker family of 8 x 8 personnel carriers. The 9K35M3-K Kolchan 9A35M3-K and 9A34M3-K TELARs are more capable than the fielded 1980s 9A35M3 and 9A34M3 TELARs, and this qualifies the system as a new variant rather than block upgrade. Battery composition emulates the earlier variants, with one of four TELARs equipped with an RF passive detection system. 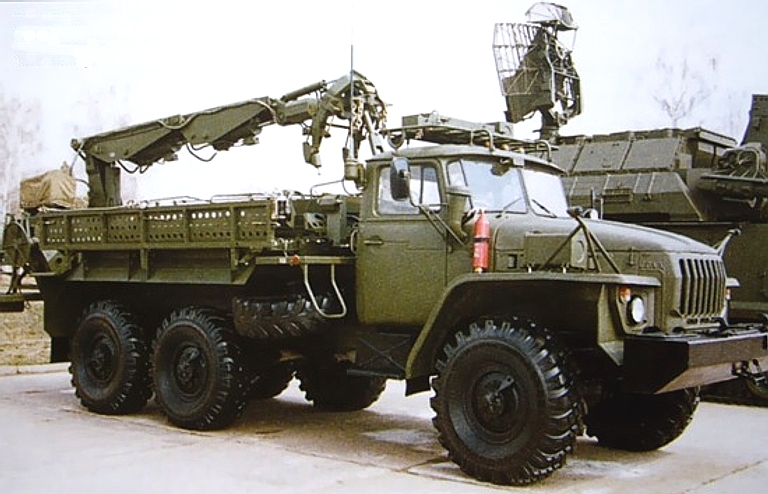 KBT have not identified a specific battery transporter/transloader vehicle to date, other than the existing Ural 6 x 6 9T244/245 transloader series an amphibous option are relifed BTR-60P/70/80 personnel carrier variants, or the current production GAZ-59037 8 x 8 flatbed transporter, based on the BTR-80/90 vehicles. 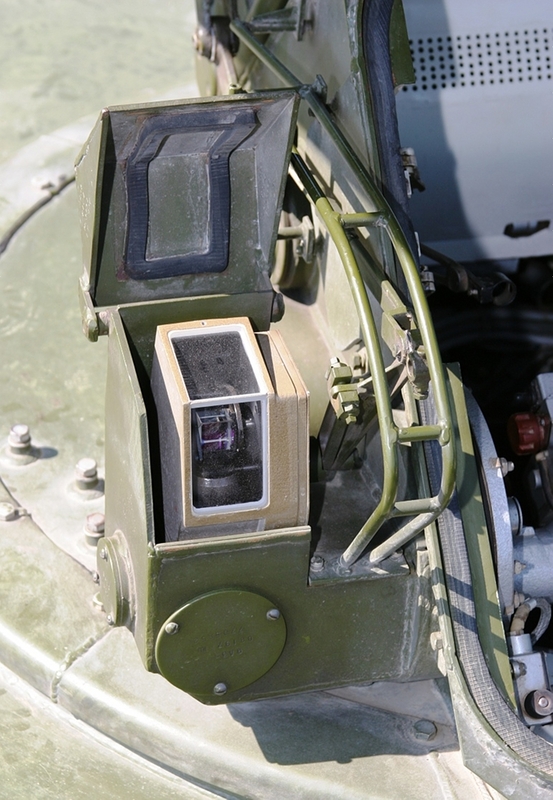 The new digital fire control system includes a new Focal Plane Array technology uncooled optical acquisition and tracking sensor with a 12º x 16º FOV, an Okhotnik digital image processing system claimed to improve detection range by 30% to 70%, and a Trona-1 moving map and navigation display system. 9K35M3-K Kolchan / SA-13 Gopher 9A34M3-K TELAR hosted on the relifed and re-engined legacy BTR-60PBM series amphibious personnel carrier. 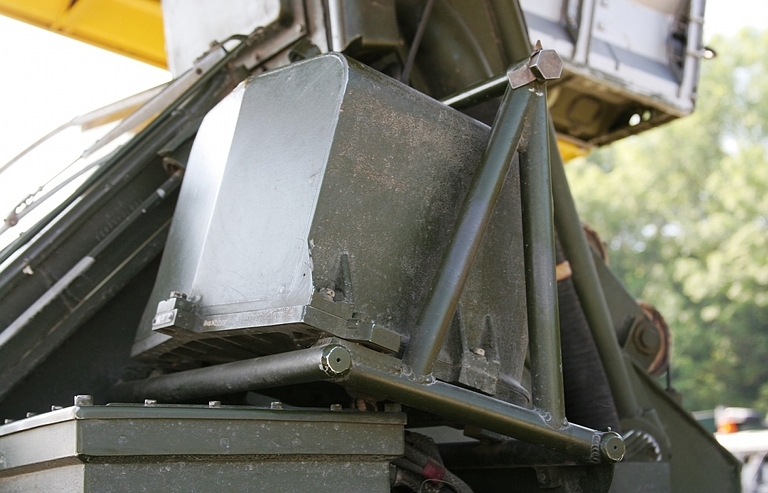 Note the new electro-optical fire control sensor package mounted above the RHS launchers, and the magazines for four reload rounds (images © Miroslav Gyűrösi). 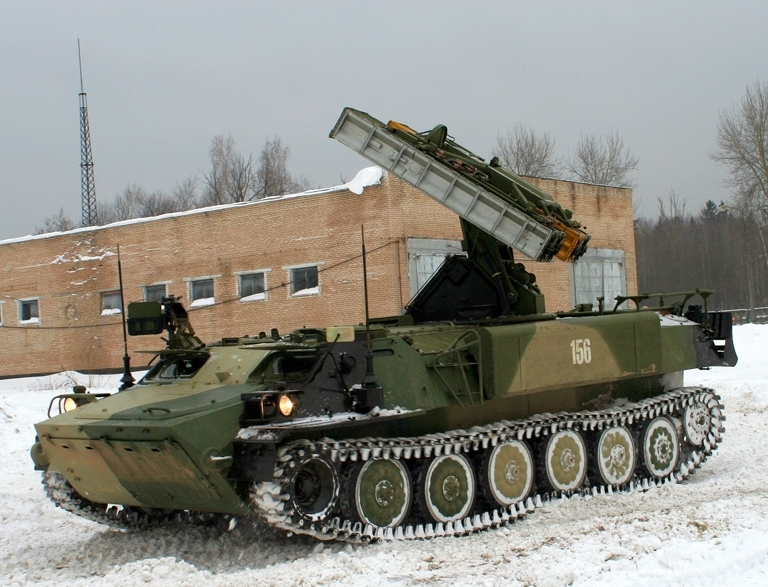 The 9K35M3-K Kolchan / SA-13 Gopher variant on a wheeled 8 x 8 BTR-60PBM chassis (Said Aminov, Vestnik PVO). GAZ-59037 amphibious transporter (via V Kuzmin). 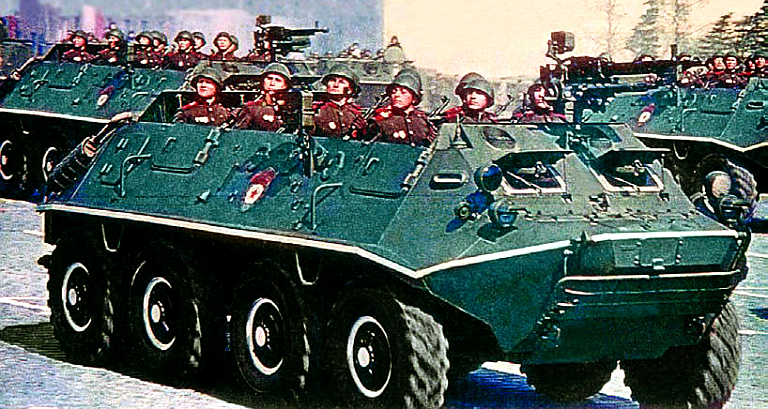 Soviet propaganda image from the 1960s showing the early configuration BTR-60P with the open crew compartment. These variants remained in Soviet operational service well into the 1980s. The BTR-60P hull is readily adapted as a amphibious transloader vehicle (Soviet Ministry of Propaganda). 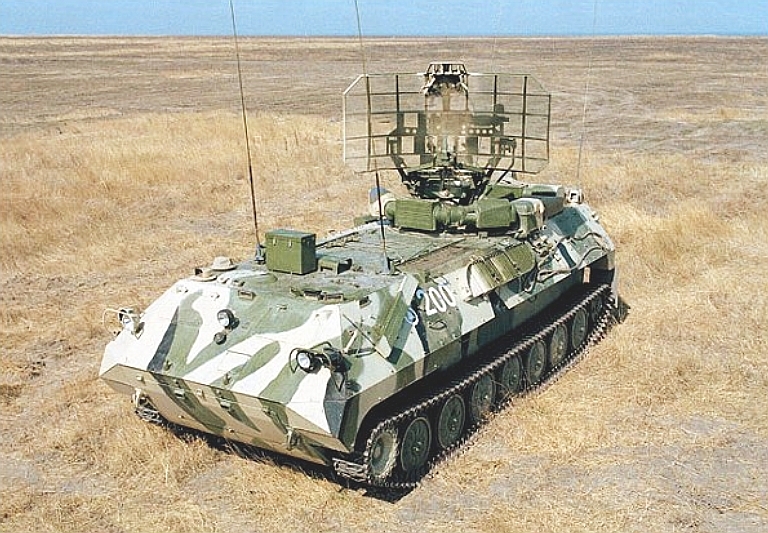 The most recent variant of the PPRU series is the PPRU-1M-2 which is digital, and includes the new design solid state VNIIRT 9S80M1-2 replacing the legacy Dog Ear variants (Said Aminov, Vestnik PVO). 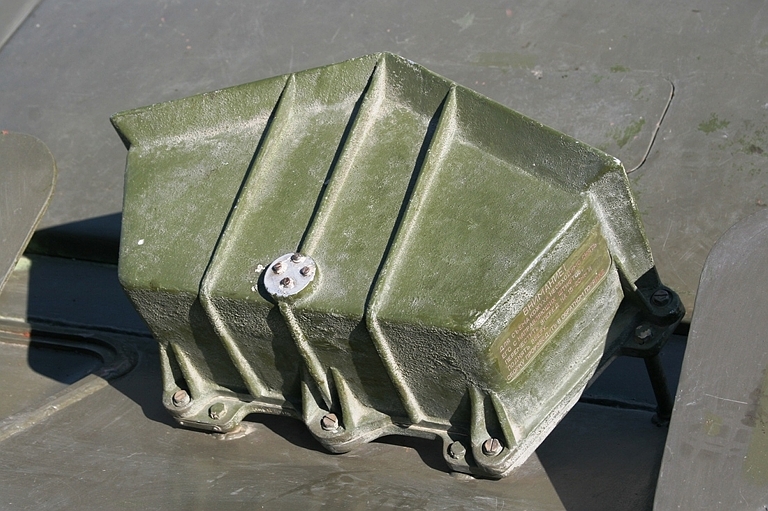 The Flat Box series of sensors are designed to cue the 9A35M series TELARs to emitting enemy aircraft by exploiting radar emissions. The design uses a package of multiple antennas on the hull of the MT-LB and an additional antenna on the TELAR turret. To date sensitivity performance and band coverage have not been disclosed (all images © Miroslav Gyűrösi). Front antenna package, above, below, used for target detection and cueing. Aft antenna package, used for target detection and cueing. Turret antenna package used for missile aiming in azimuth. In late December, 2010 Michael Jerdev had the opportunity to visit the 1st Guards Air Defence Regiment, 106th Airborne Division, Airborne Forces, equipped with the 9K35M3 Strela 10M3 / SA-13 Gopher, and collected an extensive photographic record, using a Canon EOS350D DSLR. While the lighting conditions were challenging in the late afternoon, the collection provides an excellent perspective on the difficult winter climatic conditions Russian forces have become so adept at operating in. The exercise site is surrounded by mixed deciduous Silver Birch and conifer forests, a very typical Northern Russian landscape. 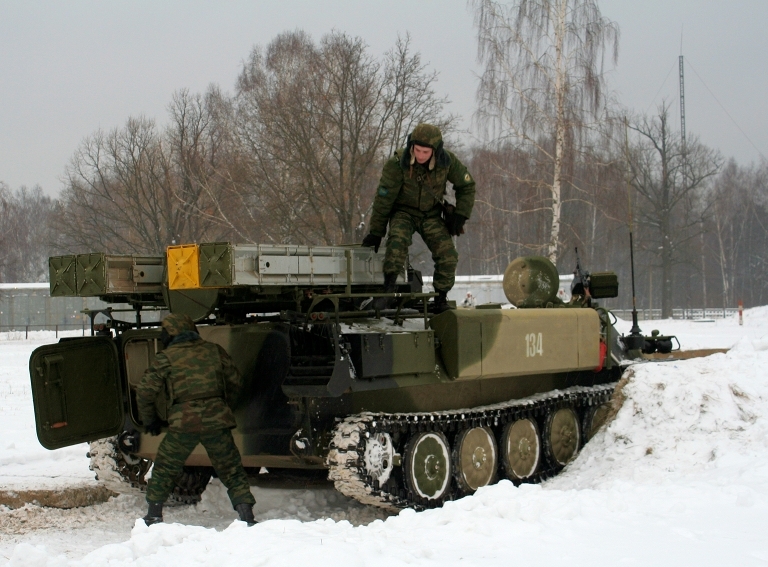 The SA-13 Gopher remains in service with numerous Russian Army formations to provide point defence for manoeuvre formations against low flying aircraft and helicopters. The nearest Western analogue is the Chapparel series.